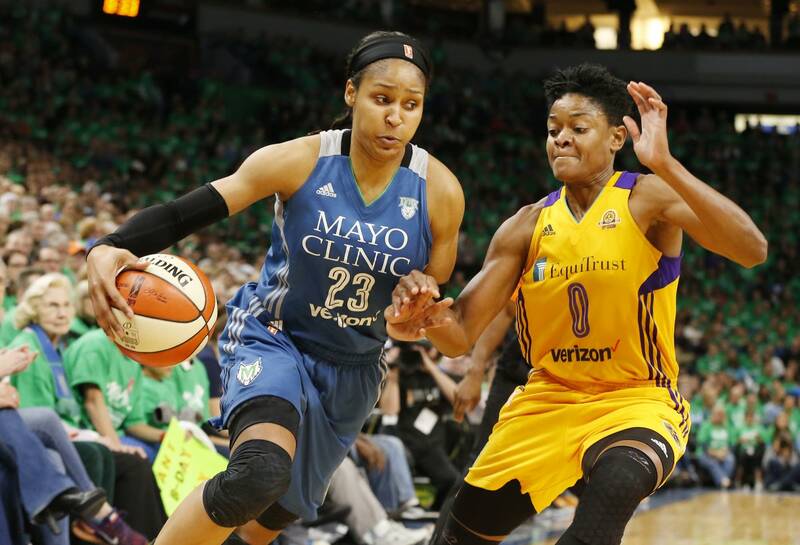 Minnesota Lynx star Maya Moore announced Tuesday she'll sit out the upcoming pro basketball season to focus on her family and "ministry dreams." I measure success by asking, "Am I living out my purpose?" I learned a long time ago that my purpose is to know Jesus and to make Him known. Some of you may know about the verse from the Bible that I include in my autographs: Colossians 3:23. I take the time to leave people with a little insight into who is the foundation of my approach, passion and motivation. "Whatever you do, work at it with all your heart, as working for the Lord...."
My announcement is about how I'm shifting the focus to the whatever. Moore played eight seasons for the Lynx, averaging 18.4 points and 5.9 rebounds per game. She has four WNBA championships, was named league MVP in 2014 and played in five All-Star games.